Visit Scafell and its lesser-known neighbour Slight Side, following Steve Goodier on a wilderness traverse where spectacular views may be enjoyed! This richly rewarding linear route will pay dividends via airy ridges, interesting lines and far-reaching views – again and again. 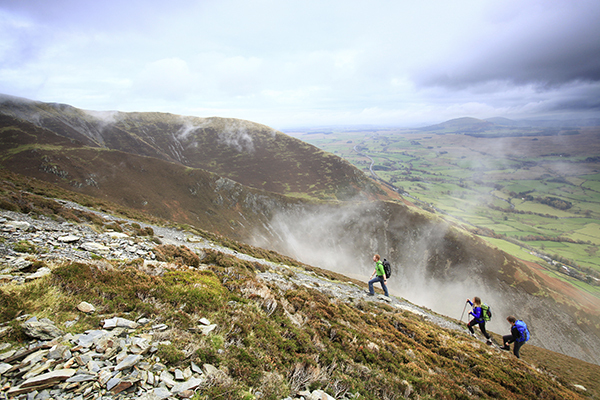 The coming of spring means longer days – so what better time to get some miles into your legs on this ‘challenging romp’ of a route. 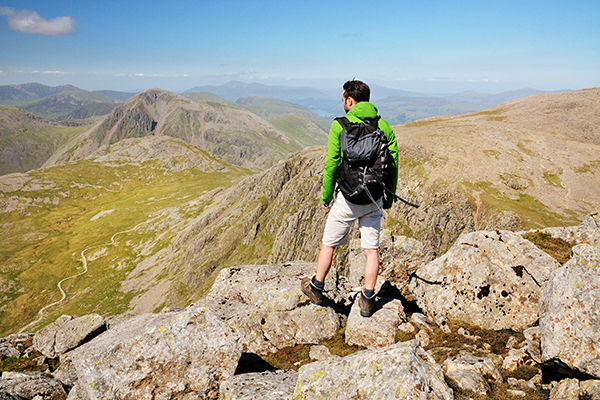 Fancy scrambling to a perfect view? Take a good head for heights up Yewbarrow and you'll find it’s a giant for its relatively modest altitude. For a wonderfully scenic walk where the views stretch for miles, head to the rounded hills above Glensax near Peebles. Visit a haunted bothy and one of Scotland’s most remote Munros for a truly wild weekend in the Scottish Highlands. then seek solitude on Lank Rigg and Great Borne.